If you don't want ovals I have these in rounds as well, check my Etsy shop! 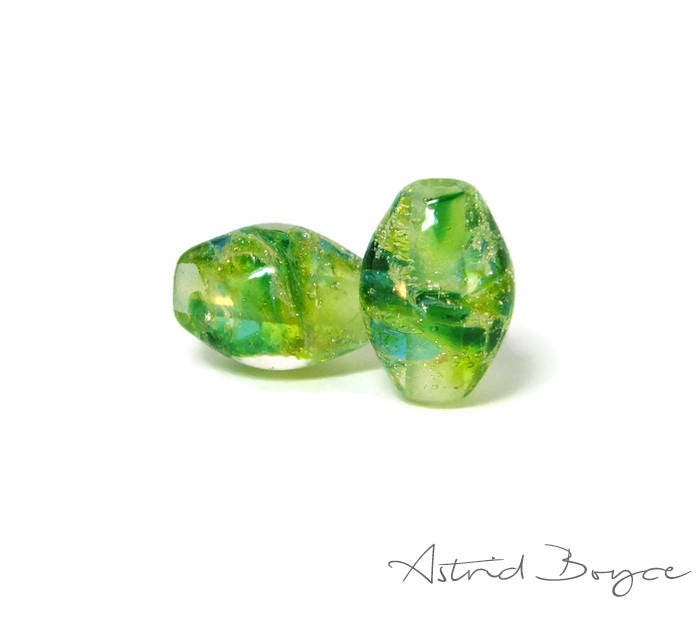 Transparent crystal clear paired with lovely green and cyan and fine Italian silver, inspired by the 2017 Pantone color of the year Greenery! 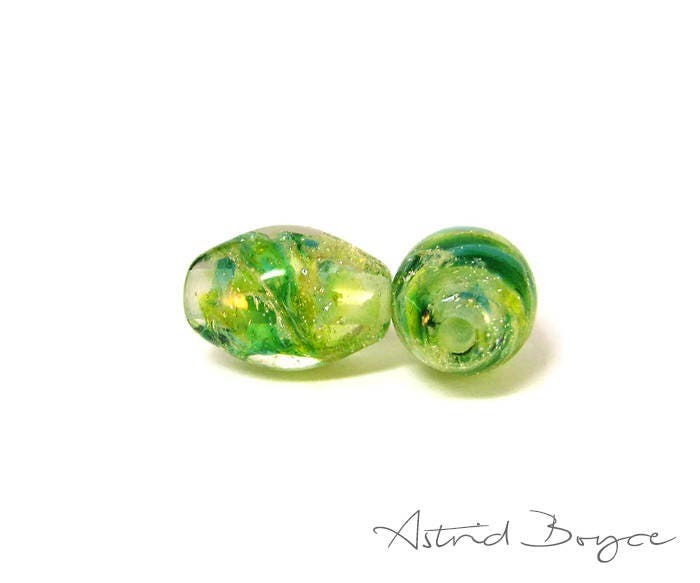 You will receive 2 handmade artisan lampwork beads (if you need more than 2 just select more than one order). 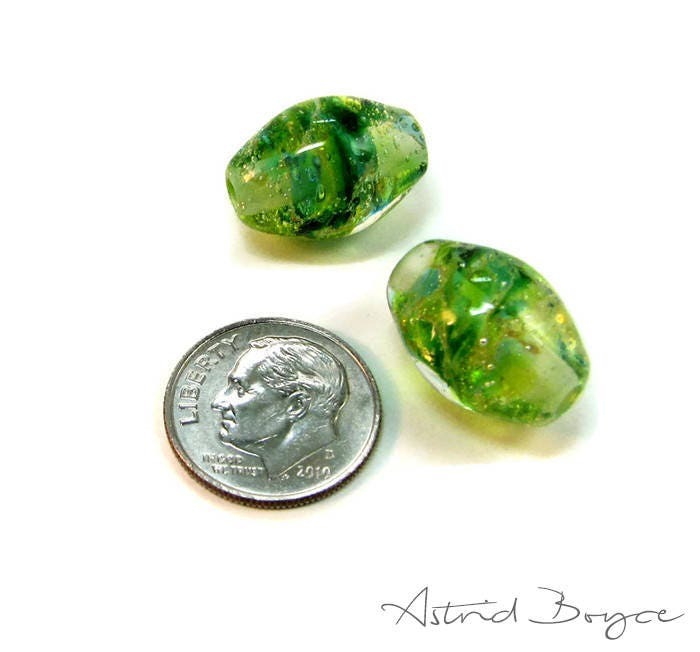 The set you see in the photo sold but yours will be similar, the color placement is random as I roll the base bead in crushed glass before I encase it in crystal clear. Every bead is a tiny surprise! 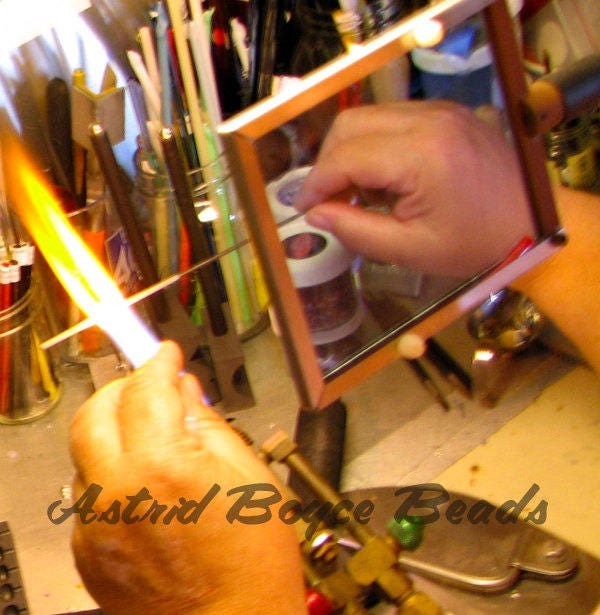 These oval beads measure 17.5mm long and 12.5mm wide at the widest point. They were wound on 3/32 mandrels and have a 2mm hole. 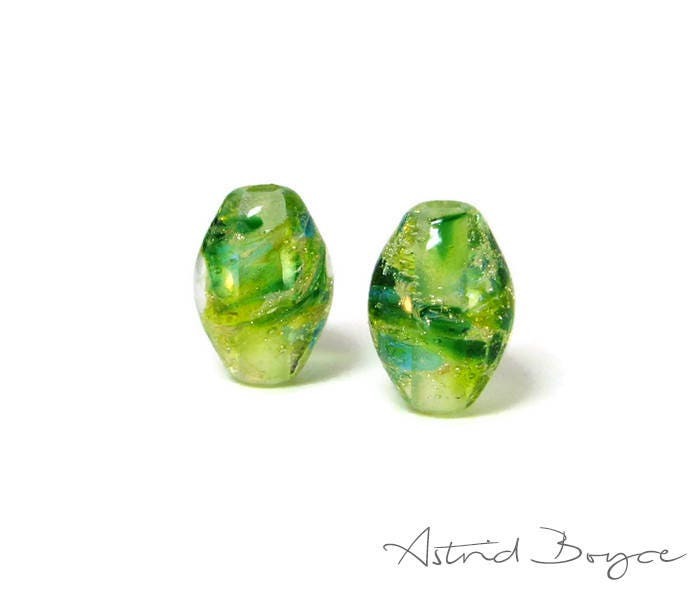 These lampwork beads are made to order. My current lead time is 5 working days. All my lampwork beads are properly annealed in my Paragon kiln for strength and durability, checked for any defects, and cleaned with a Dremel tool. I use Italian, German, and American glass.